Four Msgr. 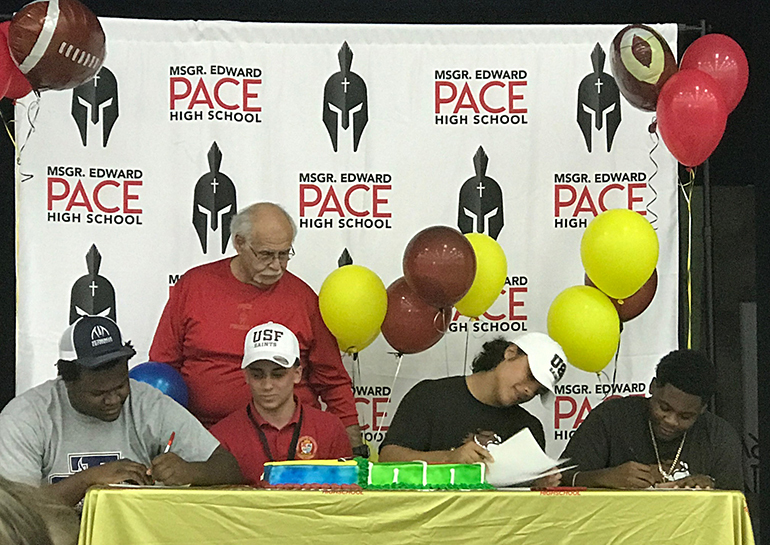 Edward Pace High School football players signed letters of intent Feb. 6 to play at the college level. From left: Bryner Joseph signed with St. Thomas University, Miami Gardens; Tyler Carmona, Thomas Willis and Rayvaugh Choute all signed with the University of St. Francis, Illinois. Standing behind them is Pace Athletic Director Joe Zaccheo.